“Dr. Copper” continued to show signs of deterioration Wednesday as futures for May delivery fell on the Comex division of the New York Mercantile Exchange to a session low of $2.931 a pound, the weakest level since March 17. Traders being cautious ahead of today’s US Federal Reserve's policy review and the health of China's property market are behind today’s fresh drop. Copper last traded at $2.936 a pound during European morning hours, down 0.51%, or 1.5 cents. 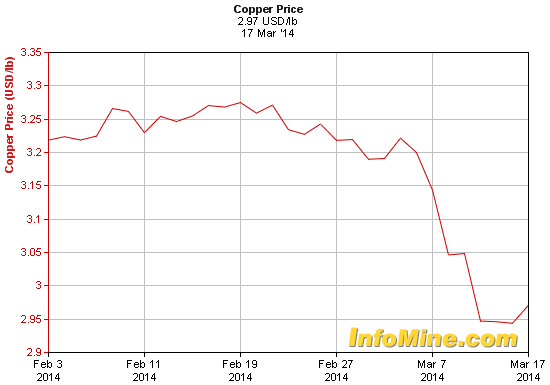 The May copper contract eased down 0.02% on Tuesday to settle at $2.951 a pound. “With copper flashing red, investors have reasons to worry, particularly as it heightens the prospect that China will fail to meet its economic growth target of 7.5 per cent, its lowest such projection since 1990,” wrote last week Michael Mackenzie, columnist for Financial Times (subs. required). Copper diagnosis is indeed uncertain. The red metal suffered a brutal sell-off early this month, which pushed the price of the world’s oldest mined commodity to its lowest level in almost four years. 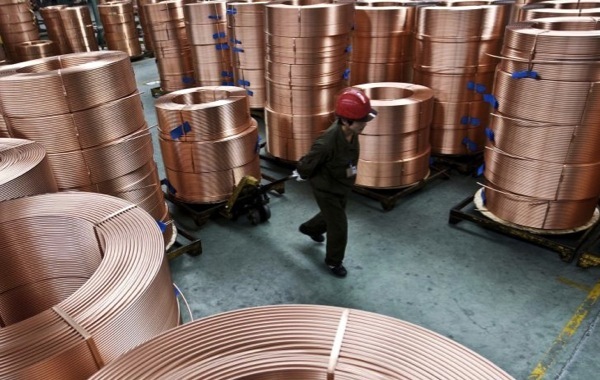 Fears of a slowdown in China, the world’s biggest consumer of refined copper, were heightened Tuesday after real estate developer Zhejiang Xingrun reportedly defaulted on its debt. Prices for the red metal prices have long been viewed as a proxy for the global economy’s health, hence its popular moniker Doctor Copper.